When I am on a journey, all ties suddenly fall away. I feel myself quite unburdened, disconnected, free - There is something in it marvellously uplifting and invigorating. Whole past epochs suddenly return: nothing is lost, everything still full of inception, enticement. 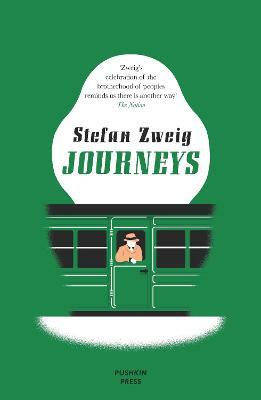 For the insatiably curious and ardent Europhile Stefan Zweig, travel was both a necessary cultural education and a personal balm for the depression he experienced when rooted in one place for too long. He spent much of his life weaving between the countries of Europe, visiting authors and friends, exploring the continent in the heyday of international rail travel. Comprising a lifetime's observations on Zweig's travels in Europe, this collection can be dipped into or savoured at length, and paints a rich and sensitive picture of Europe before the Second World War. Stefan Zweig was one of the most popular and widely translated writers of the early twentieth century. Born into an Austrian-Jewish family in 1881, he became a leading figure in Vienna's cosmopolitan cultural world and was famed for his gripping novellas and vivid psychological biographies. In 1934, following the Nazis' rise to power, Zweig fled Austria, first for England, where he wrote his famous novel Beware of Pity, then the United States and finally Brazil. It was here that he completed his acclaimed autobiography The World of Yesterday, a lament for the golden age of a Europe destroyed by two world wars. The articles and speeches in Messages from a Lost World were written as Zweig, a pacifist and internationalist, witnessed this destruction and warned of the threat to his beloved Europe. On 23 February 1942, Zweig and his second wife Lotte were found dead, following an apparent double suicide.